15 Everyday Excel Shortcuts - Something New Everyday! Here is a list of excel shortcuts that I use everyday. Therefore I call them everyday excel shortcuts. I stongly recommend evereybody to learn and start to use these shortcuts. They will boost your speed significantly. Cut, Copy, Paste with lightning speed. Menu Key + V : If you prefer to paste values only, this is your shortcut. If your keyboard doesn't have a menu key (i.e. laptop keyboard), you can try "Fn + Ctrl + V" in this order. Ctrl + A : When one of a group of cells is selected, this key combo selects the whole group. Ctrl + Arrow Keys : This shortcut will teleport your selection to last unempty cell in a column or row. Shift + Arrow Keys : With holding down Shift key, you can select cells by using arrow keys. Ctrl + Shift + Arrow Keys : This one combines previous 2 shortcuts and selects whole rows or columns of data instantly. Ctrl + = : This works as a substitute for the autosum button located on home ribbon near filters. Adds a SUM function into the cell and selects the row or column of cells next to itself. Just hit Enter then. F4 : When you are going to dye a bunch of seperate cells or chart elements, or add border, etc. Select the first one and apply that formatting. Then select next and hit F4. Be aware that it will only apply last formatting done. Alt + A + R + A : This will refresh all pivot tables and charts at once. Super handy. Ctrl + Shift + L : No more selecting title row and clicking here and there for adding filter. Select any cell on title row and use this shortcut. I will add filter to all cells on that row. Crtl + 1 : This shortcuts does the same thing as right-clicking on a cell and select Format Cells. F2 : While on a cell with a formula, you need to double click or go to formula bar to edit contents of that cell. If you directly start inputting, it will replace cell content. This shortcut lets you toggle input mode without touching your mouse. Ctrl + Enter : When you need to input same value into a group of cells, like same month number next to a list, select the cells and input your values. Instead of pressing Enter button alone, press Ctrl + Enter. Same value will be inputted into all selected cells at once. Please feel free to let us know about your everyday excel shortcuts by leaving a comment below. 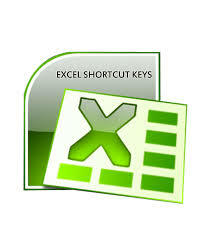 We can all benefit from your experince and add one into our everyday excel shortcuts too.